Batteries are quite similar to humans in the aspect of dying, eventually, every battery loses the ability to charge and often users forget that and use their laptops rashly and forget to take care of the battery. As everything in this era has turned digital most of the work is carried out in laptop or computer and think what will happen if your battery suddenly dies? It will not only hinder your day to day life but will affect you financially as well because replacement of the battery is an expensive process. When to Charge your Laptop battery? If you have bought the new laptop and are thinking about loving it till the end of the world then, focus on the battery also because, in the beginning, the battery is fresh and if used wisely can last for the long-long time. 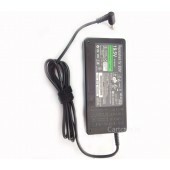 While Charging a New Laptop Battery, keep in mind that the laptop should not be fully discharged, that way it will not overburden the battery and will last longer as there are discharge and charging cycles set for the battery and it is seen that the more charge cycles consumed the faster the battery will lose its capability of getting recharged. Are you continuously keeping your laptop in hibernation mode? Think again friends! This not the good way to go! You are overexerting your battery and this will definitely lead to quick depletion of the battery power. Do avoid these habits. Avoiding this habit will definitely help you Enhance your Battery Life. Before storing your laptop ensure that your battery is charged to 30% at least. If you are not using your laptop store it someplace cool. Guys! Do not just buy and keep your laptop aside use it once in a while else your battery will give up! Conclusion: Do not overburden your battery by feeding excessive power but, that does not mean to not giving it feed at all. Just treat it like you, feed it regularly and Charge Your Laptop Battery for Battery Backup on regular basis just do not over do it. Just improve the way you charge your lithium-ion batteries and it will be with you for a long duration. I hope this article is helpful to you and you do keep all the points in mind.